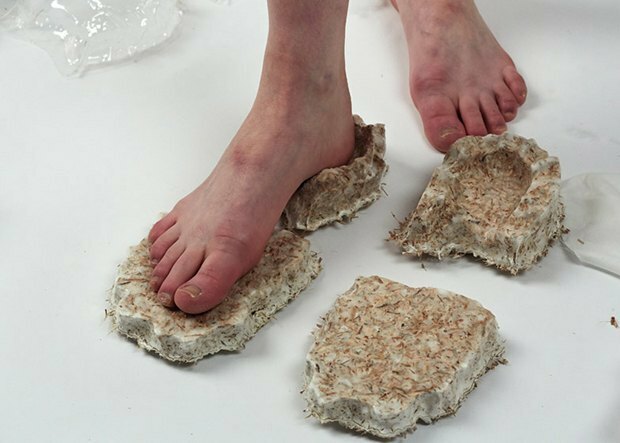 Designer Ali Schachtschneider produced five collections of household objects and apparel made from lab-grown biological materials like tissue cultures, cellulose, and mycelium. The objects include tissue cultures that can be added to the body to change its shape, a device worn in the nose that releases the smell of bananas to mask bad odors, and pill that causes the consumer to secret from her pores a sugar that change color according to heart rate. The project is speculative, predicting a future in which objects and the bodies that manipulate them are not so distinguishable from one another. "The project aims to provoke new alternative ways to perceive our bodies in relation to objects and fashion," says Schachtschneider. See more about the project at Dezeen.